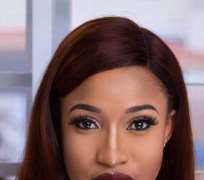 Award-winning actress and philanthropist, Tonto Dikeh has been announced as host of this year’s edition of ‘Nigeria Goodwill Ambassador Awards,’ the annual celebration of Niger Delta Peace Ambassadors impacting positively in the region. The event holds saturday, 21st April in Port Harcourt City and the organizers said it is a extravaganza in its usual extension of the annual celebration of heroes who brought peace to the Niger Delta Region. Some of the awardees includes Chief Edwin Clark; former President Goodluck Ebele Jonathan; Donald Duke, King Ateke Tom, Governor Udom Emmanuel, Engr. George Iwo, Amb. Adokiye Kyrian, Godwin Obaseki, Rt. Hon Friday Ossai Osanebi, Chief Joseph Evah and many others.